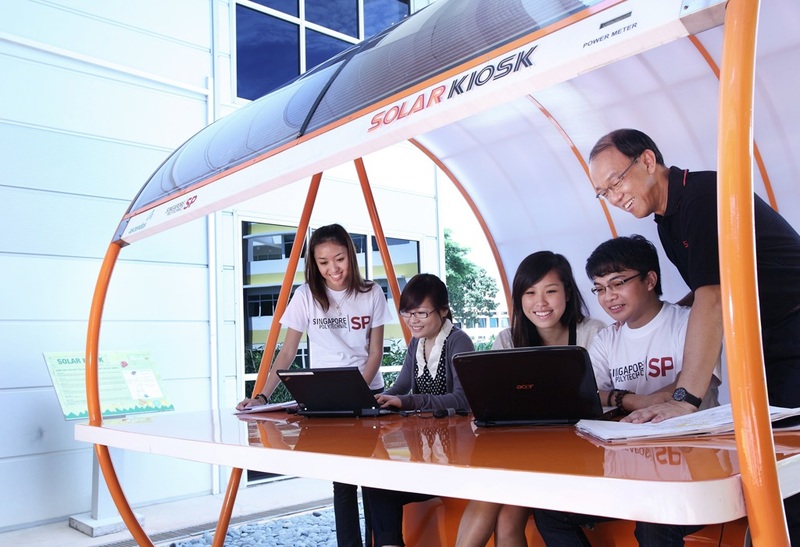 Singapore Polytechnic (SP), the first polytechnic in Singapore, is passionate about protecting the environment. It has mobilised the entire campus to help protect the natural environment within its compound and also conducts outreach programmes to the industry and the community. In 2001, the school achieved ISO14001 certification for its environmental management system. Recognising the importance of environment-related disciplines, SP introduced various full-time and specialist diplomas in environmental and water management. In 2010, a diploma-plus certificate in sustainability was introduced for outstanding students. InnoVillage, an innovation hub within SP, was set up in 2009. It attained the Green Mark Platinum Award with 80% of its premises constructed using recycled materials. Today, InnoVillage is a collaboration platform for industry partners to work on environment-related technologies and also a learning centre for showcasing these technologies. Leveraging on its technical expertise and the richness and diversity of its tree population on campus, SP has also developed an innovative learning journey, known as the Heritage Tree Trail, for secondary schools. Reaching beyond the school’s boundaries SP actively forges partnerships with environmental groups and organises outreach activities to engage the community. In 2009, it led 21 secondary schools to adopt Marina Reservoir and has since been actively working with these schools to keep the reservoir clean. In the same year, it spearheaded the inaugural Singapore International Water Festival, held in conjunction with the Singapore International Water Week, to engage youths on environmental and water issues. SP’s dedication to maintain a green campus and its innovative approach to engaging the community on environmental issues makes it an exemplary role model for other tertiary institutions. Nan Hua High School is a well-known champion of the environment, having begun its ‘green’ journey a decade ago. Since 2001, the school has placed great emphasis on raising environmental awareness amongst its students. In 2003, the school introduced the School Total Environment Education Programme (STEEP), which is a framework for its environmental education initiatives. In 2004, the school was conferred the inaugural Singapore Green Plan 2012 Award in recognition of its efforts to inspire its students to care for and protect the environment. The school also received the EcoFriend Award in 2007 and 2008 and Watermark Award in 2009. Nan Hua High School implemented a four-year environmental programme in 2007 where all students read modules on water, waste management, climate change and public health as part of the school’s enrichment programme. Following that, environmental themes were incorporated into English lessons, Project Work, and the Secondary 2 Integrated Science module. Nan Hua High School also organises the Young Environmentalist Forum, where local students discuss environmental issues with their overseas counterparts. Beyond the curriculum, an annual National Environment Quiz and Games competition is held to raise awareness of environmental issues amongst students. Since 2004, the school has established a strong partnership with Tetra Pak (Jurong) Pte Ltd under the National Environment Agency’s (NEA) Corporate and Schools Partnership Programme. It helped pilot the Tetra Pak drink carton recycling programme in 2007. 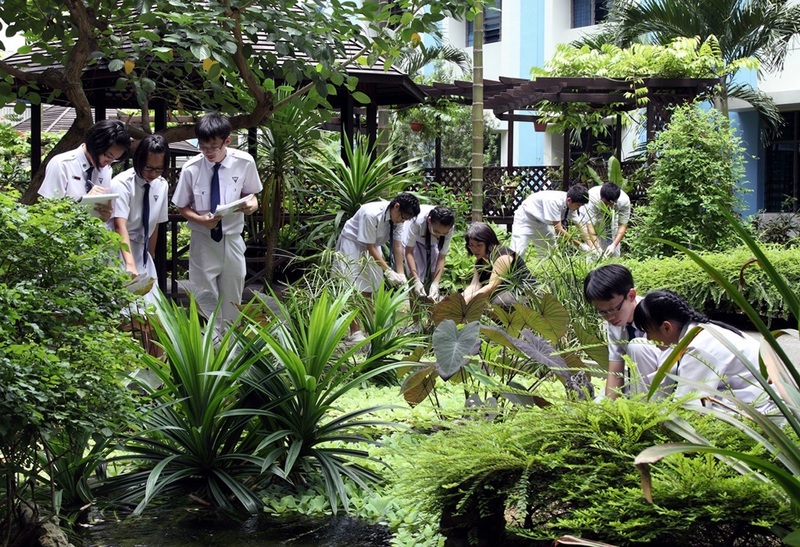 Nan Hua High School’s community activities range from resource conservation to anti-littering and dengue prevention. Last year, the school began to participate in the South West Community Development Council’s anti-dengue programme. This year, the school piloted the enhanced Litter-Free School Programme to support the launch of NEA’s anti-littering campaign. Nan Hua High School’s continual efforts to interest and engage both its students and the wider community on environmental issues serve as an inspiration to other educational institutions. Hitachi GST’s efforts to pursue environmental sustainability has earned it various awards – the Singapore Environment Council (SEC)’s Singapore Environmental Achievement Award in 2006, the National Environment Agency (NEA)’s EcoFriend Award in 2008 and the PUB’s Watermark Award in 2009. Sustained environmental measures over the years have helped the company conserve precious resources. Over the last seven years, Hitachi GST has achieved a 62% reduction in water consumption and 58% reduction in energy consumption for each hard disk drive manufactured. Hitachi GST has also developed strong partnerships with schools and community groups to promote environmental awareness. Since 2004, the company has adopted Unity Secondary, Mee Toh Primary, Raffles Institution (RI) and Anglo-Chinese School-Independent (ACSI) under NEA’s Corporate and School Partnership Programme. Since 2006, the company has collaborated with RI to organise the annual Clean and Green Singapore (CGS) Green game competition. 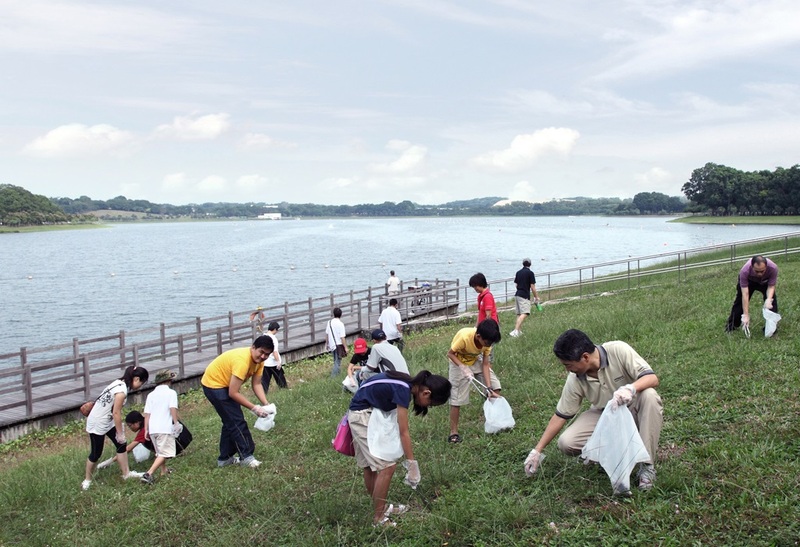 In 2008, the company adopted Bedok Reservoir under the PUB’s Our Waters programme and has been working with ACSI to organise clean-up activities. Hitachi GST’s rich experience with environmental issues is also recognised in the private sector. The company is regularly invited to share its environmental experience and best practices with the industry. Companies planning to strengthen their involvement in environmental sustainability have also consulted them directly. The environmental practices and achievements of Hitachi Global Storage Technologies Singapore Pte Ltd serve as an example to other companies – not only in managing the environmental impact of operations, but also in driving environmental causes within and beyond their organisation.